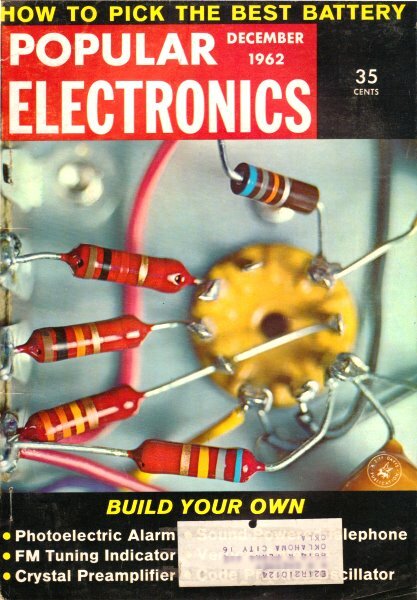 Robert Balin created many quizzes for Popular Electronics magazine back in the 1960s and 1970s. This particular Electronic Numbers Quiz presents various objects and your challenge is to match one of the provided numerical values to each item. For example, a tuning fork is most commonly, in the Western world, associated with a certain frequency for tuning musical instruments (electronic and mechanical). 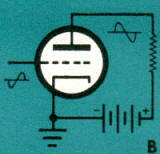 As is often the case, being familiar with the "standards" of the era is helpful on a few of the items like the tuning capacitor and the IF transformer, but you should be able to eliminate some options by knowing the impedance of the twin lead transmission line and the phase relationship of current and voltage in a pure inductance. 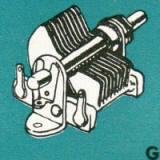 Anyone in electronics gets to know many numbers, each of which relates primarily to some specific circuit or component. 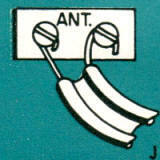 Why not try your luck at matching the eight numbers below with the drawings (A - J) to which they most logically refer? 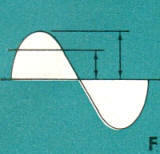 1.414 - F The maximum or peak value of a Sine Wave is 1.414 times its effective or r.m.s value. 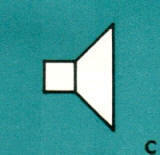 3.2 - C A common impedance for Speaker voice coils is 3.2 ohms. 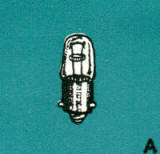 47 - A A type 47 Pilot Lamp is the one almost always found in the "All-American 5" receiver. 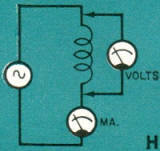 90 - H Current through a pure Inductance lags the applied voltage by a quarter of a cycle, or 90 degrees. 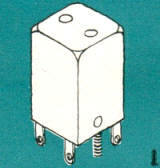 140 - G A common maximum capacitance value for a Variable Capacitor is 140 μμf. 180 - B A signal fed into a Vacuum Tube between grid and ground is inverted, or shifted 180° in phase, when observed between plate and ground. 300 - J The impedance of TV and FM Twin Lead is 300 ohms. 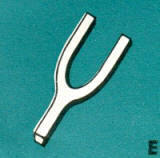 440 - E A Tuning Fork used to tune musical instruments vibrates at 440 cycles, or A above middle C.
455 - I A common frequency for an I.F. Transformer is 455 kc. 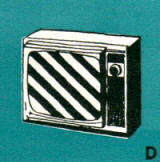 15,750 - D The frequency of the horizontal sweep oscillator in a TV Set is 15,750 cycles.